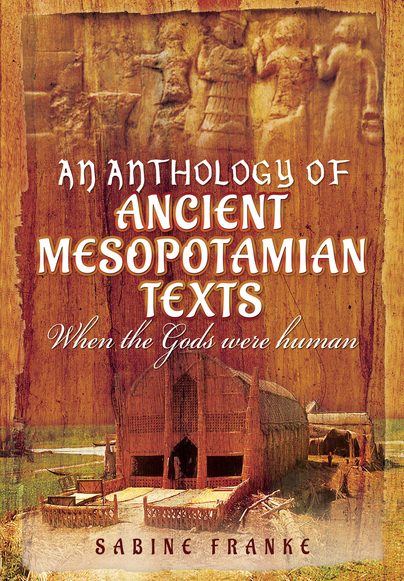 You'll be £16.99 closer to your next £10.00 credit when you purchase An Anthology of Ancient Mesopotamian Texts. What's this? Sabina Franke has gathered the best stories of ancient Near Eastern literature surrounding the Mesopotamian gods, men and kings. This book takes the reader on a journey back to the birth of literature in Mesopotamia, which seems to us so far and yet so near. Fairy tales, myths and epics of ancient Near Eastern literature are still able to charm readers today and allow us to delve into the fascinating life of the ancient Near East. This book includes fables such as the tooth worm which causes tooth pain as well as the great myth of Innanas which describes the transition of the goddess Ishtar into the underworld. There are also daily life stories such as that of a student and the Sumerian incantations against a crying baby. This is a small collection of texts that are mostly short stories with a short explanation of each of the texts in the back of the book in the bibliography. There is also a glossary of names in the back as well as small chronological table of events to orient the reader. It’s probably best to read the section in the back before reading the text. Some are just a short little spell or incantation, but it reads like someone talking out loud about their life. Some of the longer narratives are missing pieces every so often, but it sheds light on the everyday lives of these ancient individuals. It is amazing how so much time has passed, yet we still have the same problems. Hunger, fertility, looking for the meaning of life, your child crying and won’t go to sleep, etc.. I particularly like translated texts like this that are raw like a beautiful rug with some fraying that does not detract from its appeal. I have a two other similar volumes one from Ancient Egypt and the other from Japan. I find myself just looking through them every so often just because they are so different from the modern stories that we have. Most revolve around creation myths. Its fascinating to think that someone thousands of years ago wrote these words trying to make sense of their world and now I am looking at them! As someone who has been brought up on fables and fairy tales, this book is a complete and utter delight to me, the opportunity to read such stories from other cultures and civilisations. A beautiful book all round. Dr Sabina Franke has studied Ancient and Modern Near Eastern Languages and Cultures and Comparative Literature, gaining her master’s degree at the University of Pennsylvania and her PhD at the University of Hamburg. Sabina has taught at the University of Hamburg, the University of Salzburg and since 2010, at the Helmut-Schmidt-University in Hamburg where she offers mainly courses for the general public and non-academics. As a student she participated in several excavations in Syria and has since also has been working with history tour groups in Eastern Turkey.